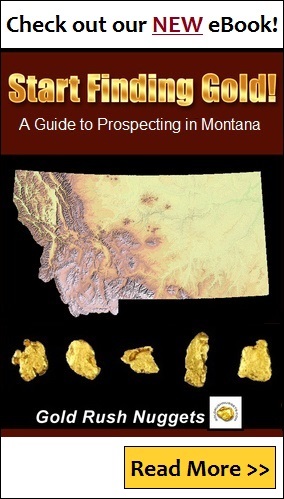 Located in the heart of the Elkhorn Mountains in Jefferson County, Elkhorn represents one of the most prosperous silver mining camps in Montana. Although a far cry from what it used to be more than a 100 years ago, Elkhorn still boasts of a number of original structures and few residents to boot. Silver was discovered at the site of what would become the Elkhorn in 1870 by Peter Wyes, a Swiss immigrant looking for wealth in the Wild West. Unfortunately for him, he died mysteriously before he could make any meaningful fortune from his discovery. In 1875, Anton M. Holter, a rich miner bought the old Wyes claims and established the Holter Lode which was the first silver mine in Elkhorn. The Mine produced rich ore and before long many other prospectors flocked in the area establishing other silver mines. Some of the most productive mines in the 1880s include the Union Mines, the Hard Cash Mine, the C&D Mine and the Golden Curry Mine. The development of more mines around the Holter Lode brought in more miners and settlers leading to the creation of a booming town that supplied the mines. In 1881, the Holter Lode was worked to a depth of about 300 feet and this meant that the 5-stamp mill that was used to process the ore was no longer effective. The Elkhorn Mining Company acquired the mine, renamed it Elkhorn Mine and then build a new 10 stamp chloridizing mill to process the ore. In the next year, the mine reaches its peak production and the town grew to over 2500 people. At the Elkhorn, mining town grew rapidly and its peak had several retail stores, a post office, three hotels and numerous saloons lining the main street. There were also a school, hoarding houses, hundreds of homes, a livery, several blacksmith shops, barbershops and a Methodist church. Unlike many mining camps in the area, most of the residents of Elkhorn were European immigrants with families who relied not just on the mines but also established a thriving woodcutting business in the nearby forests. The production at the mines in the area continued to grow throughout the 1880s. For example, in 1888, the Elkhorn Mine established a new 25 stamp mill to process the ore and the mine had already reached about 800 feet underground. The following year the company sold the mine a London Syndicate which increased production and petitioned the Northern Pacific Railroad to establish railroad line connecting Elkhorn to Boulder for easier transport of the silver mined. The sharp drop in the price of silver in 1892 following the decision by the government to drop silver as a monetary base marked the beginning of the end of mining in Elkhorn. Many mines closed down in the following few years. The Elkhorn Mine continued operation until 1900 when it was closed down briefly. By that year it had produced over 8.9 million ounces of silver, over 8,000 ounces of gold and over 4 million pounds of lead. The following year the Elkhorn Mine, which was the most productive mine in the area, was sold and the new owners revived production and even built a new mill. When water began to fill the mine, the operations were shifted to processing the old mine dumps. With silver prices still low, the mine closed down in 1902 once the old mine dumps were exhausted. In 1906 a system to remove water from the mines was built and mining resumed but employing a smaller number of men than had been the case for the past 30 years. By 1908 there was no more rich ore in the mine and the operations once again shifted to processing the old mill tailings. Mining was revived a number of times until 1937 when the mine was closed down for the last time. Following the decline in silver prices and the closing of mines in Elkhorn, many of the miners left. In fact, by 1893, the population of Elkhorn town had dropped to about 600 people. In the following years, the railroad was discontinued and the post office was moved and the school was closed down. The railroad tracks were finally removed in 1931. Today Elkhorn is a classic silver mining ghost town. It is now part of the Elkhorn State Historic Park. It is a well-preserved mining town much like Bannack and Virginia City. The town boasts of over 50 original buildings that still stand. The park is open to visitors who want to learn about the history of the place. Visitors to Elkhorn today are likely to see the old fraternity hall, the mining camp architecture preserved by the Montana Ghost Town Preservation Society, the old Gillian Hall and several other buildings with clear signage. Outside the state park, there are a few original homes that are now home to the last few residents of Elkhorn.